Welcome to Blue and White Wednesdays!! 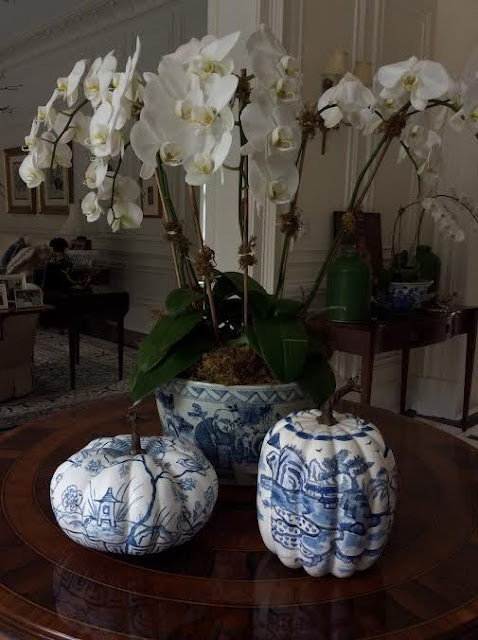 Since blue and white is my favorite combination, I thought I would start adding some color to Wednesdays with Blue and White Wednesdays. It is wonderful to see this classic become such a ugh trend in decorating lately. I am glad that its getting it's much deserved time in the limelight. Today is all about using blue and white for fall. 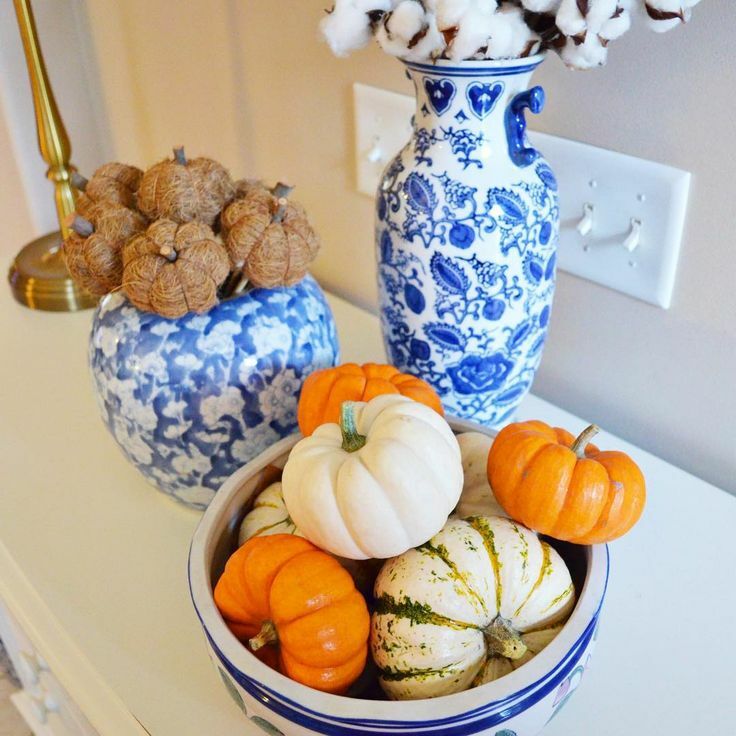 Just because it's fall, you don't have to put alway all your blue and white. 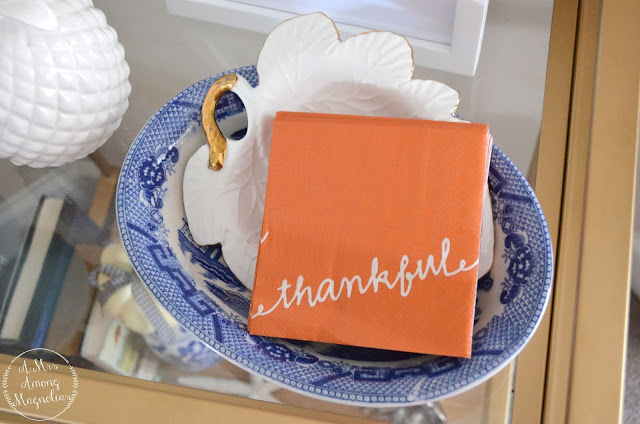 Blues and oranges are on opposites sides of the color wheel and they naturally work together in all sorts ways. Here is some of my recent inspiration from around Pinterest. This picture makes me want to fill my home with mums! They are simply stunning. 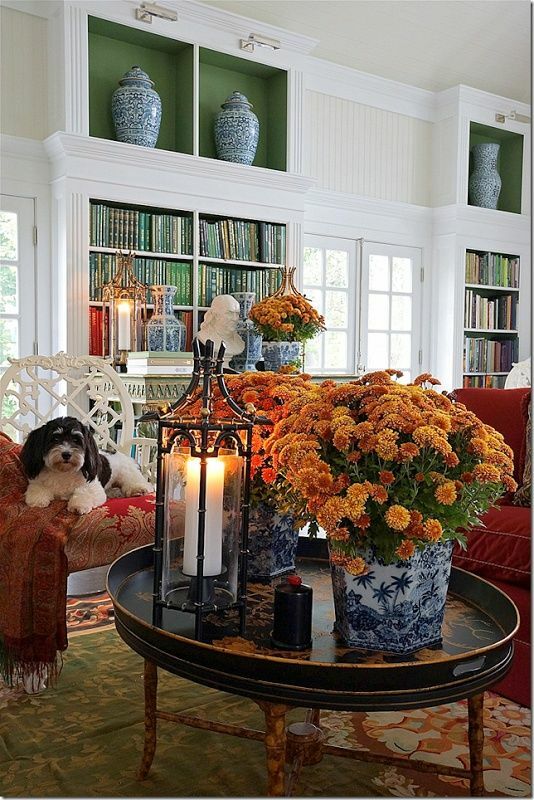 Blue Willow, boxwoods and pumpkins. This is perfect fall dining room decor. 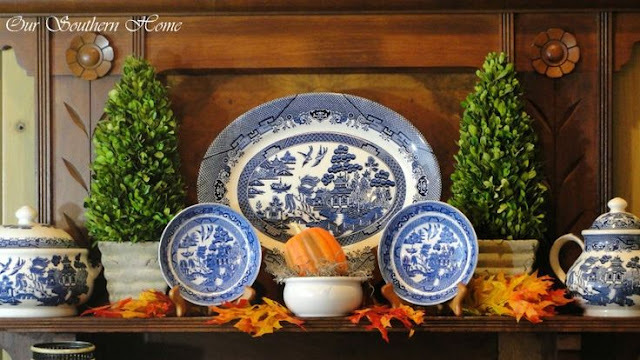 The Enchanted Home decorates in blue and white so perfectly! I love every single thing she posts. 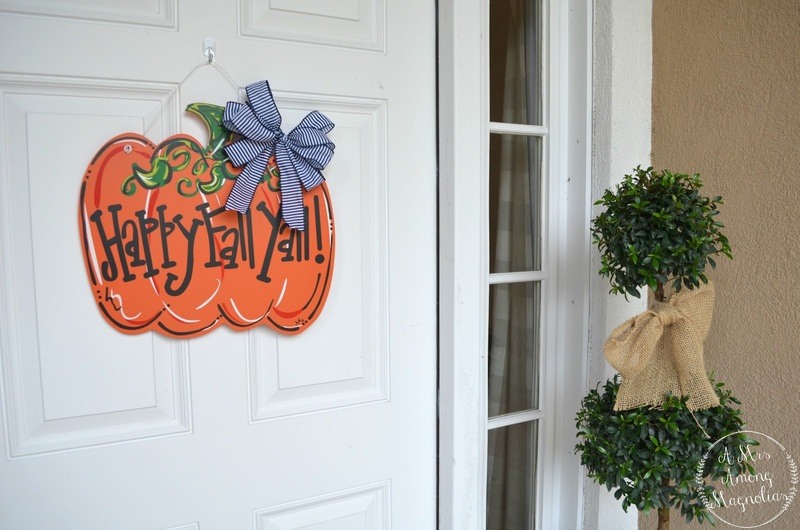 Here are a few snapshots from around our home. 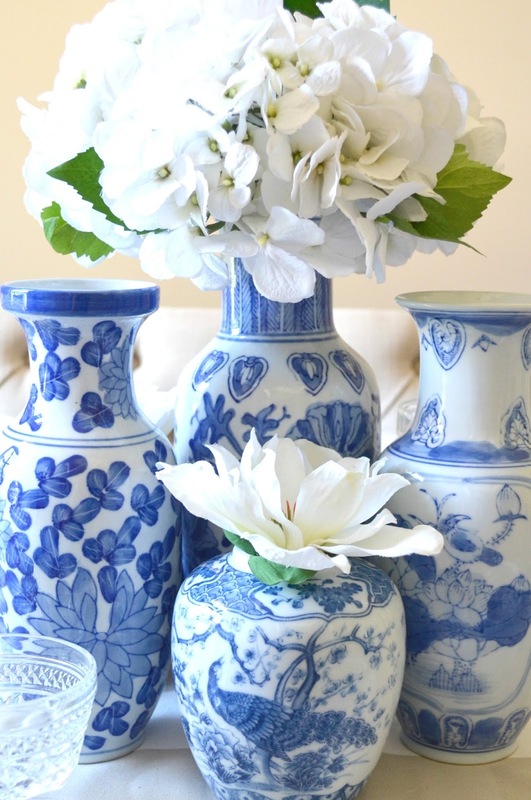 Are you using blue and white in your home this fall? I would love to see your photos. If you post them to IG tag #AMAMBlueandWhite. I cannot wait to see your photos!! I love those shots from around your home! 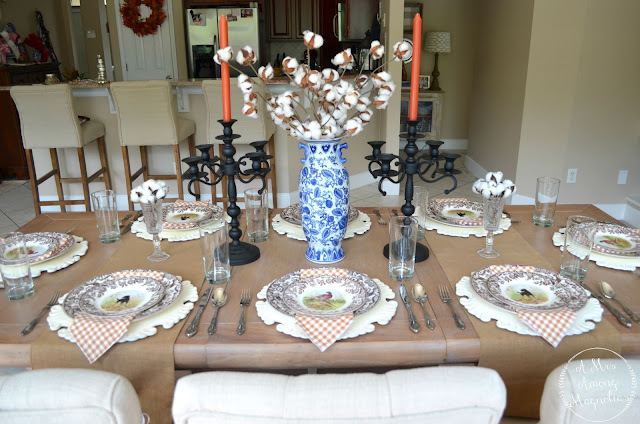 Where do you get your cotton for your centerpiece? I love them! Thank you dear! I got the cotton from Michael's. They usually only stock it around this time each year.